first day out and my first few shots were productive! 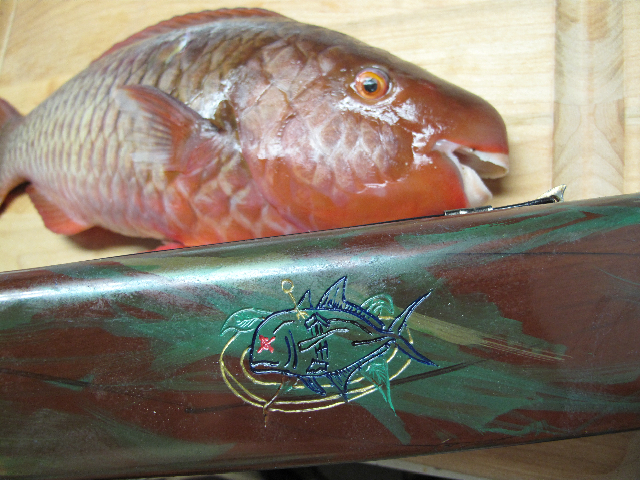 This gun will really reach out and touch these fish. I got the uhu in about 45 feet off of Portlock. My buddy tried to get them but could not get them to come in close enough for his 100cm euro, so I made a drop and strung one within 30 seconds. I had no problem adjusting to the mid handle style and in fact shot much better with it. I love the quick swing and negligible recoil. I'm still working on that first ulua, I'll get back to you when I land that. I'm eating good tonight! 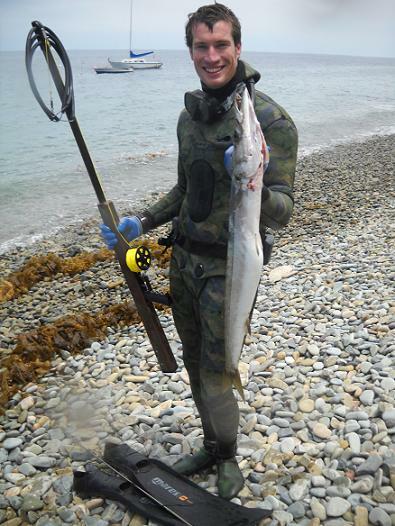 here is a picture of my first barracuda here in California. I was diving my favorite spot on the frontside of Catalina working a bait ball about 30 ft down. I was using my Wong 55 inch magnum and on my second drop two barracudas materialized and I took aim and hit the bigger one just behind its pectoral. The shot was a solid holding one and it took off bleeding line from my reel. It eventually tired and wrapped up in the kelp. 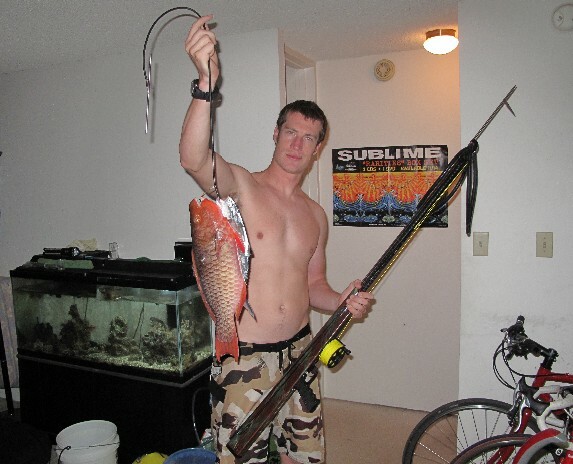 The fish ended up being about 40 inches long. These are excellent eating fish when bled properly and iced immediately and this one was no exception. Thank you Daryl for such a versatile (and accurate!) 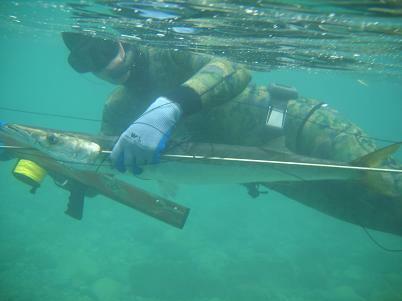 speargun at home on the reefs of Hawaii or the kelp of California. It was shot by my girlfriend Annie.